Volar Screens is based in Hurstville, offering range of services, maintenance and installation of retractable screens including centor, brio, vueline and techroll. Volar Screens is a Hurstville-based business specialising in installation, maintenance and repair of retractable fly screens including Centor, Brio, Vueline, Techroll. We have over 10 years of experience in the industry, striving for new ways for a better job and always expanding our product range with innovative ideas to find the best solution for you. At Volar Screens, we have a team of reliable and trusted staff who are committed to find solutions for your need. We take pride in our workmanship and presentation and will guarantee a punctual and quality service every time. 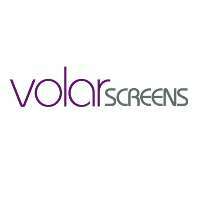 For more informations, contact Volar Screens today.